There are a few things in education that either scare me or confuse me. One such thing is the term differentiation. When I trained as a teacher we discussed the fact that students vary in ability in lessons. This is common sense and something anyone would be able to tell you. If I remember back to my own school days, every lesson I was in put me in a different academic standing. Some lessons I flew in, some I struggled and some I just plodded along. It's obvious then that students in lessons may require additional support, help or challenge. Now this thought sits very comfortably with me. But this sounds so simple. Why then does the term 'differentiation' wake me up in the middle of the night with screams of terror? A few years into my teaching something changed. All of a sudden (and I'm not sure where it came from) people were talking about the fact that we need to be planning detailed lessons that highlighted and catered for every single student in the classroom. The word flew in like a whirlwind and numerous strategies and ideas were left in its path. Suggestions of designing a lesson numerous different ways, creating thirty different worksheets for thirty different students, changing the outcomes for the different abilities in your lesson, utilise students learning styles, that it should be clearly visible to an observer how I was differentiating for every student..... It all got a bit overwhelming and if I'm totally honest, a little bit far fetched. Luckily for me our school stayed pretty grounded and kept things in perspective. But the worry of whether I was doing it right still lingered. The reason that this particular face of differentiation bothers me is that it seems very unrealistic on teachers. I am fully aware that the students in my classroom are very unique and learn in very different ways. Experience tells me this. I understand that some prefer different approaches and various forms of interactions. I understand that students differ in the type of instruction they need. They're not battery hens where a one size fits all system works. But what for me felt like hysteria around differentiation a few years back gave me the feeling that what was expected wasn't for the students, but for other groups of people. It felt like there was an expectation that every lesson had to be uniquely tailored to all students. Now that takes time. And I tried it for a while. Believe me I did. I spent hours on each lesson thinking how I could ensure every student was catered for. But ultimately it became an impossible task and I felt fraudulent when I eventually only did this level of planning for things like observations. So how could I manage this effectively and be realistic, and a bit more effective, in helping cater for students in my lessons? As part of my renewed focus on my practice over the past few years I started to think of ways that I could scrap this view of differentiation, and simply look at ways that I could instead provide challenge for all. In fact I'm not even sure what I'm talking about is differentiation anymore. With it I began focusing on approach that would ultimately work for me and my students. So what lessons have I learnt? For me differentiation felt like a series of short term solutions. 'How could I adapt this part of teaching for this part of this lesson for this student on this day' became stuck in my head. What I've learnt is that differentiation isn't about that at all. It's not about one off strategies and doing things in isolation. These can help but for me it's much better than that. Differentiation is all of those tiny subtle things we do on a day to day basis. The things we do naturally with the various students in response to their needs. The hundreds of conversations, questions, discussions and pieces of advice. These small moments that happen consistently on a daily basis makes a much bigger deal in the long run. There are times in our profession, especially in observations, when we feel we have to make every action in our classroom visible. But sometimes differentiation will happen and you may not even notice you've done it. I worry that we expect differentiation to be the adapted worksheet or different task. Something we know we've done and can point to in lessons. Something we can physically hold on to and say 'here it is!'. Or worse, something we go out of our way to make visible for others to observe it. But differentiation may simply be the bespoke feedback you've given or the way you've demonstrated something differently to a student. It's the way we respond to students needs. It's helping students move forward. As I've just said, it's the tiny conversations we have. Those small things happen every single lesson and we may not even notice or recognise it. That for me is differentiation. Over complicating differentiation has been my downfall in the past. It shouldn't take hours of my planning time but instead be part and parcel of what I do. I don't need over complicated resources, activities or tasks. 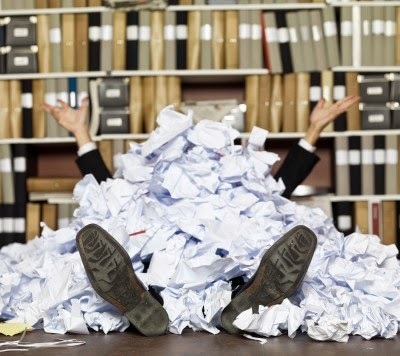 Making things more efficient and manageable is a much better way to go. More work isn't differentiation - is it? There were times when all I did was provide more work for those who were flying which meant less work for those who weren't. Is this differentiation though or is it just simply setting more tasks. I'm not sure I know the answer. I guess that if we do provide more work, it should firstly be something that extends students rather than being much of the same. Secondly we need to make sure that there is a culture that everyone is expected to have the same output otherwise some students may produce two or three times the amount than others. Yes every single student in your class is different but spending hours creating unique and bespoke resources can be very time consuming. If it will help, if it will challenge, if it will support and if it will be used again then go ahead and make it. If you feel that simply planning your explanations, your questioning, your feedback or demonstrations would be a better and more effective part of a lesson, maybe the worksheets can wait. Adapted from Daniel T. Willingham, this little nugget of advice has really stuck with me. Instead of making the outcomes of tasks easier for different groups of students, structure the thinking behind it that little bit better. A colleague of mine said a few months back that ultimately, every student in her class, regardless of ability, will have to sit the exact same exam with the exact same time limit as everyone else. 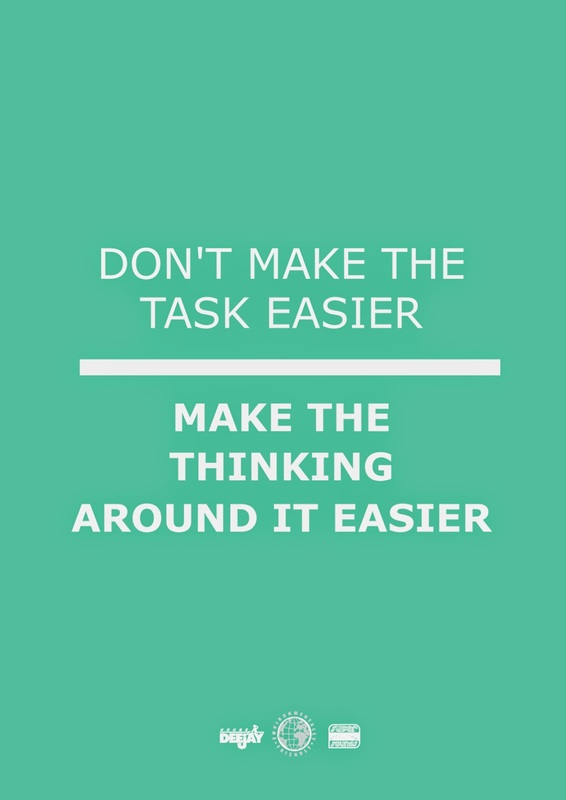 Making tasks easier for some just means that they will know less. I have to agree. Gone are the 'must, could, should' objectives and differentiated endpoints. Instead every student has to learn the same key content, but, the way each student thinks and gets there may be different. I can't think of many things more important to help you teach your students. I found myself guilty of focusing on specific groups of students that I actually took my eyes of those that remained. Pinpointing under achievers or stretching the more able is important, but what I did when doing this was forget about those not in these groups. If you have a firm grasp on your group and you use various forms of evidence, assessment or data, you can plan differentiation into your lessons effectively. Equally, if you know your students and know the difficult parts of the topics you teach, you could probably plan and adapt your delivery differently at these 'sticking points'. Being prepared and planning differentiation is important. However, I fell in love with the term coined by Andy Tharby; Differentiation the responsive way. Most of the differentiation we do in lessons happens in response to the events that unravel. Yes we can plan until the cows come home but it's the moments in a lesson when you have to rephrase an instruction, give a prompt when someone is stuck, pose a tough question that spins a student on their head when they are flying. We never know what will happen in lessons. We work with students so why would we. Having experience, skill and expertise in our teaching means we can respond to differentiating when it jumps out on us unexpectedly. So my approach to differentiation has changed and I hope for the better. Instead of trying to plan numerous resources and creating an extensive range of activities, my focus is to respond to students needs in the lesson. Planning to pinpoint sticking points, looking at tailoring questions, giving personalised feedback and helping support every student to achieve the same high aspirational goal is the key. So how am I doing it? Data is important but too often we can focus on the wrong things. Regular marking, questioning students, homework scores, test result, quality of book work.....are all things that help me build up a picture of how my students are doing. Years ago I would mark books because I had to. Now I take books to help me see who needs help, who needs to be stretched and who needs a rocket firmly placed. Paying attention to these details helps you understand the individuals and allows you to have those all important conversations. Now I have tried a million different seating plans in my lessons. For a while the consensus for some was to have more able and less able sat together. The idea was to have direct support there when the lower ability student needed it. It allowed students to feel confident that the person next to them could help them and in return, the more able student would reinforce their understanding by explaining it to their peer. At the end of Year 11 I regularly get students to evaluate my teaching so I can tweak in preparation for my next group. Out of all of the things, this type of seating plan took the biggest hit. The higher ability students in the class highlighted their dislike for such a plan. They felt that when they wanted to extend themselves they had to come back to help those who were struggling. They also felt that discussions were limited and never grew with much depth. The less able enjoyed the support but benefited more from my intervention. Over the last few years I now group students based on their results. After unit tests or exams, the groups are reworked. Those that consistently achieve around the A*-A grades work together. Those around the B grade sit together. And this goes on. And it changes every unit. Now is it working? Well if I had to group students without any sort of data but purely on knowing my students they would be roughly the same groups. It means that I can go to every group and pose a slightly different question or challenge their thinking. On one table I may pose a question that gets them to reinforce a key piece of information. On another table I may ask students to think about the impact this topic has had on another. It isn't full proof but it allows me to provide 6 or 7 differentiated pieces of instruction, questions or feedback very quickly. Love it or hate it but using SOLO taxonomy to plan my lessons allows me to think through the different stages or a topic. It really helps me break down the components and begin to formulate a plan of delivery. This allows me to identify possible sticking points and create simple contingencies or interventions. The system also allows students to have different entry points. I can work with some students developing the important content knowledge that they need whilst helping others tie this topic into other areas we have covered. The taxonomy also allows students to go back a level as well. I worry some feel that we need to get to the top to EA as quick as we can where as we can actually spend a good lesson or two developing students uni/multi-structural knowledge go back and forth until it is secure. For me it's a real help. More than anything I now try to spend time chatting to my students. Lesson time doesn't allow me to have numerous 1:1 chats, primarily because I have to get through the teaching. One thing I have done is design a rota where I aim to chat to 4 or 5 specific students every lesson. Over the course of a few lessons I have had a conversation with every member of the class about their progress, where they are at, what needs to be improved and where need to go to move them forward. The conversation is bespoke, it's unique and it's tailored to that student. By using a rota as a guide combined with the general hustle and bustle of getting around your class, I now try to ensure I have real conversations with students about their learning. Some are longer than others, some are more direct than others, but ultimately they happen and they happen regularly. Feedback, in my own personal opinion, has to be one of the best methods of differentiation. What I say to one student will be different from what I say to another. The tailoring of this feedback can prompt a student to become unstuck or stretch their thinking beyond the curriculum. Each student is individual no matter how similar their grades may suggest. What you say can be hugely important and is such a vital part of our craft. Marking falls under this category as well. It may be slightly more time consuming than generic comment stickers or stamps, but I aim to give every student at least two feedback questions when I mark. Yes two students may have a similar grade or mark, but they have probably had a different experience doing that work. Knowing my students allows me to provide personal feedback that works for that individual. Feedback in my eyes in key. There's a real craft in using questioning to support, stretch and challenge. Planning questions for key parts of the lesson is advisable but the art of being responsive and posing them in real time is a real skill. There are those students whose bewildered faces suddenly become enlightened when a rephrased question you pose gets them unstuck. There are those able students who think they've done it, only for you to spin their head with a higher level question. Having such questions at the ready may come over time with increased confidence in your subject and increased experience. But, along with the bespoke feedback you give, what can be more effective and more efficient in terms of differentiation? In my eyes, not much. No book has inspired me more than Ron Berger's 'An Ethic of excellence'. The book shares numerous stories of how Ron gets students from a young age to create work well beyond their years. It is a masterpiece and a must read. Throughout the book Ron explains how he uses 'examples of excellence' with his students to demonstrate the high quality of work they need to produce. He doesn't expect lower ability students to create any less work than a more able. In fact he aims students to produce professional pieces of work such as architect designs and town radon reports. The choice of excellent examples is a fundamental building block in the process. By sharing outstanding or high quality work with students, you can inspire them to achieve work beyond what they probably believed. The examples help students understand where work could lead to and the dissection and unpicking of it helps to make the steps to greatness concrete. Collecting examples from industry, media articles and from students is easy to do and can be brought out when units or schemes are taught again in the future. Modelling is not a new idea but one that is used so regularly in the classroom. 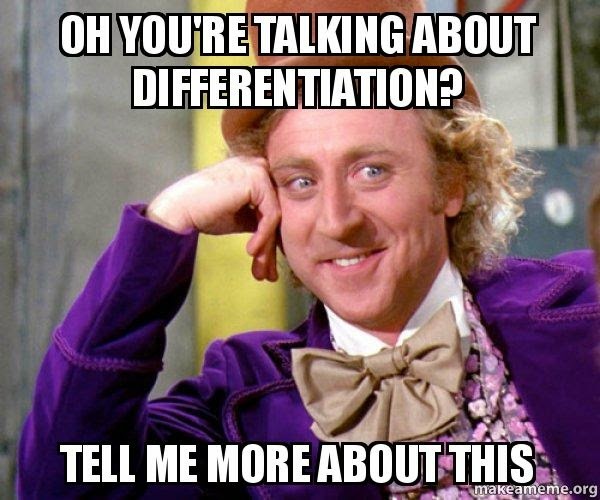 And is it differentiation? If we go by any technical definition it might not be. In my classroom though, modelling is an essential component. Over the years I have begun to use students work as it happens. Sharing students work with their peers can be very helpful. Like with examples of excellence, models happen there and then. They can incorporate greatness, errors, and process of thinking. They help students who are struggling see the next steps. By working as a class to refine a sentence it can help the more able progress their work further. If we use models in the right way, they become an important method and can provide so much in terms of moving everyone forward. As Daniel T. Willingham talked about, I shouldn't be making the task easier. Instead I should support the thinking that is needed to get there. And I totally agree with this. 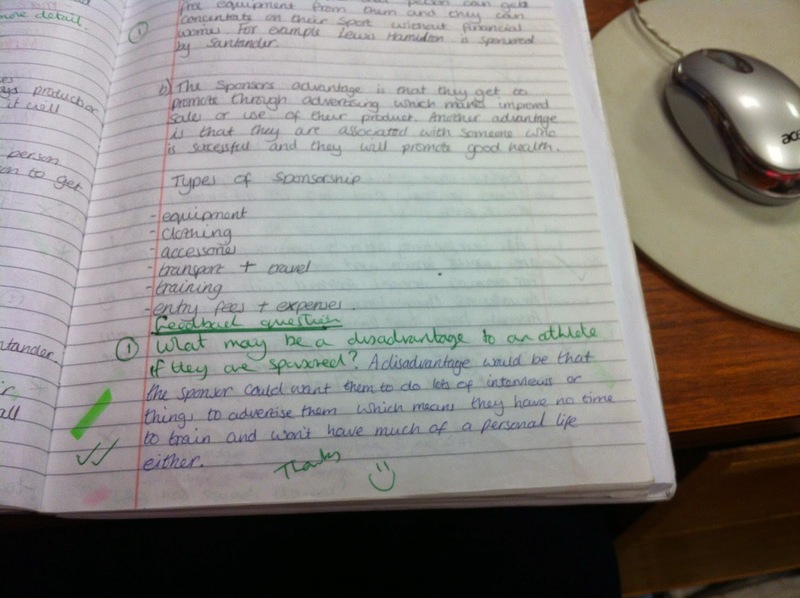 Within my lessons students are expected to produce excellent pieces of work. Some will get their by themselves. Others will need varying levels of support. What none of them needs is for me to make tasks easier and expect lower standards. Using a variety of scaffolds is very helpful. Using ideas like the four part process for writing excellent sentences is one great tool that pops up again and again in my class. For some students it becomes the guide that they really need. For others it is just a simple reminder of what to include. For others it is irrelevant as they write with confidence, style and elegance. Ideas like Dough Lemov's 'At first glance' sentence starters has also been a great way to develop, support and extend. Simply providing three words of differing academic difficulty (although all of them are still quite high) forces students to think and adapt the subsequent sentence they craft. Designing and displaying these starters is quick and effective. The important thing is that these types of scaffolds become redundant the more skillful the students become. And that's what I feel scaffolding and using structures (like PEED, IDEA and so on) should do. Help when it's needed but then disappear when ready. I rarely produce a worksheet for lessons anymore simply because of the balance between the time it took to produce it, compared to the time the student actually used it. Instead I have a bank of graphic organisers which I can tweak and tailor when needed. The beauty of these resources (such as double bubble maps, compare and contrast maps) is that they can help students keep track of the information before working with it. The less able in the class can use them to record key points and then manipulate them. The more able can use them to find more detailed connections and relationships. The organisers are excellent and can be used flexibly from one lesson to the next. Adding prompt questions or even high level statements can support or stretch abilities. They can also help scaffold and structure work. A complex essay can be quickly mapped out before becoming a plan for the subsequent drafts. Graphic organsiers in my classroom have made things a lot clearer for students and have a place for all ability levels. I've thought a lot that we shouldn't simply be restricted by the curriculum we follow. Yes students must know, cover and learn information that may come up in exams, but we can go beyond to really enlighten them. I've been dropping a few AS level PE exam questions into lessons. I use them for two reasons. Firstly, when something becomes difficult, showing them something at a more advanced level demonstrates the bigger picture and has helped students understand the topic better. Doesn't sound right does it? 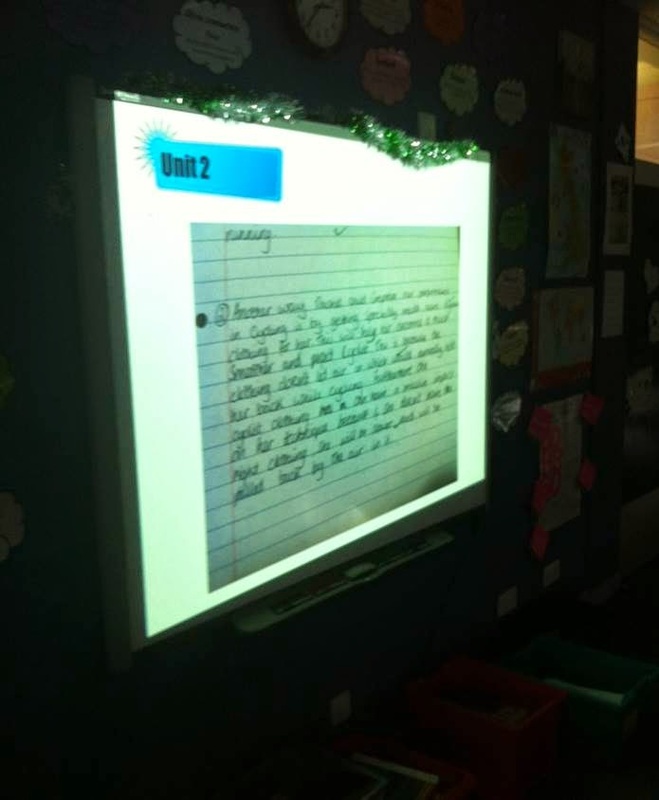 Secondly, they provide a great challenge when students have finished work and shows them that a topic isn't finished. There is always something more to learn. And finally, I set the expectation that every student can produce great work. I know that links into the Growth Mindset ethos, and some might argue that not every student is capable of producing great work, but I do set the aim that we all can achieve a high standard of work. And I demonstrate how. Redrafting work shows that things do get better when we act upon feedback. Using techniques like the literacy upgrade shows that by improving the vocabulary we use in answers or essays, or work becomes more academic. By spending time with a peer/group/class removing redundant words I show that we don't all need to waffle and in fact we can become much clearer in our writing. Demonstrating these small things makes a big difference and changes habits. And that final point is the big deal for me. It's the small things that make a big difference over time. Like Sir Dave Brailsford's Marginal gains, the aggregation of all of these little strategies improves the outcome over time. Are some of these things differentiation by definition? Most probably not. But I have learnt that I can't make lessons 1:1 or bespoke to every student every lesson. That takes too much time and is unrealistic. Instead I can put in manageable strategies and spend time doing the things that matter. In my eyes, if you asked me outright, I'd say effective differentiation (for me) is talking, questioning, challenging, marking and responding. I call it teaching. So can I be that little bit better at differentiation? I probably can, and probably a million times better. But I am not super human. Thank you so much for writing this. This is one I will keep coming back to! Thanks for posting your experiences! Very helpful. Secondary school teacher, blogger, education consultant, CPD provider, organiser of #TLT. Love teaching, love learning and strive to be better. Can I be that little bit better at ......using methods to make feedbackstick? Can I be that little better at……using cognitive science/psychology/neurology to plan learning? Can displays help teach learning (and not just reinforce content)? Can I be that little bit better at......understanding why feedbackdoesn't stick?